What's new - RC Helicopter Guide! mCP X Mods and Upgrades now has two new simple modifications! Check it out! Since last "What's New" Update, I've finished All About Helicopters and added Layout and am working on Throttle and Pitch Curves under Radio Rampage. I've also changed the site theme and colors, tell me what you think! Coaxial / Fixed Pitch Flight School is complete with NEW Lesson 6: Outdoor and Fast Flight. All About Helicopters is still making progress and is nearly half done. Collective Pitch Flight School is Complete! 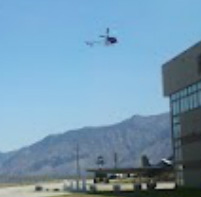 In addition All About Helicopters is making major strides to become fully complete. Coaxial / Fixed Pitch Flight School is also being revamped with an additional lesson. This has required me to go back through and change parts of the lessons. Currently, Lessons 1 - 4 have been updated. I have also gotten rid of the sub-menus on the Site Navigation Bar at the top, tell me what you think! 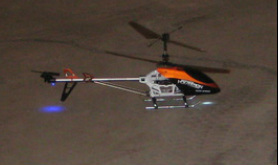 Features of The Best RC Heli: You Choose is nearly complete! Lessons 9 and 10 of Collective Pitch Flight School are complete! I have also updated the home page to look better and be more precise. In addition I have done minor editing on a number of pages to fix incorrect grammar, left out words, unclear explanations, etc. 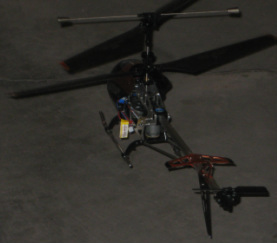 Features in The Best RC Helicopter: You Choose is still grinding away. It's going to take a long time to assemble all the information about so many topics that Features is about. Lessons 7 and 8 of Collective Pitch Flight School are finished! Flight School Definitions has been created to define a number of terms I throw around in Flight School. In addition a few terms have been added to Technical Terms. Features in The Best RC Helicopter: You Choose is making progress. Lessons 5 and 6 of Collective Pitch Flight School are complete! A number of new terms have been added to Terms and Definitions such as HH and YR Gyros and Auto-Rotation. 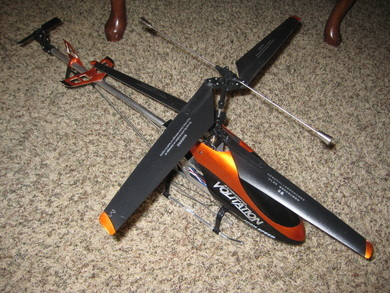 Size and Brand on The Best RC Helicopter: You Choose are now complete. Lesson 4 of Collective Pitch Flight School is finished, complete with easy-to-understand clarifying diagrams (see to the right)! A number of new terms have been added in Terms and Definitions as well. 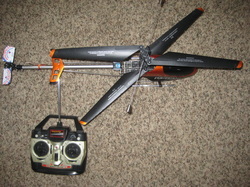 Radio Compatibility Type on The Best RC Helicopter: You Choose. Whoa, so much has been added, I don't know where to begin! Okay, getting back to work . 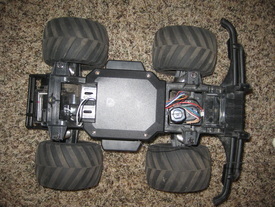 . .
My RC Car. Included here just to be different. I've worked a lot on the site since the end of May, with the result of a Completed Coaxial Flight School! A number of new terms have been added, as well. What's New? A number of new terms, including ground effect, dissymmetry of lift, and translational lift in Terms and Definitions. Also, lesson 5 has been expanded. Soon coaxial flight school will be complete! 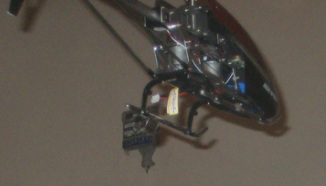 I've begun a page on how to do common repairs on coaxial helicopters. But for now it is still very much in construction. More to show my happiness is the fact that I've finally received my replacement motors! But I've flown very little due to the poor weather. Soon I plan on explaining how to know when to replace a motor in Repairs. Coaxial Flight School Significantly increased! I'd put off finishing this section for ages, but its just about complete! Lessons 3 and 4 are finished, with lesson 5 being worked on right now! Battery Dimensions of the stock 9053 li-ion battery are now on 9053 Volitation Mods in Volitation Central. I've found the maximum length that a battery can be and fit in the canopy, as well as the stock battery weight for reference when buying a new battery. In addition a number of other small tidbits have been added elsewhere. A complete Coaxial Quirks: How they Fly page. More charging / Battery tips. A number of new Terms and Definitions. A whole new page on 9053 Volitation Mods, including the easiest way to reverse your lower blades, a new battery, and my now-famous 10 cent butter tail mod! Ready to pick up the pace. In the past few days I've done a bit. This page has been a flop for about two weeks. Now it has some information! I've changed the theme of this site. Tell me what you think! The home page has been fitted with links to the main pages of this site. Coaxial Flight School has been introduced! This page is still grounded. It'll be fully charged soon. _This is obviously not my job so I have only limited time to work on this site. As I work more on it, though, check back on this page again.